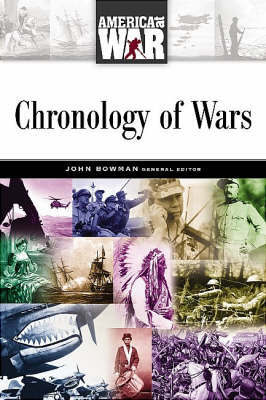 Chronology of Wars is one of the two completely new volumes in the America at War series. It discusses the 11 wars treated in the other volumes from a chronological perspective. It includes an introduction that calls attention to relevant themes that persist throughout America's wartime past, and it presents an opportunity to look from a different perspective at many of the same subjects covered in the war-specific volumes. The historical development of the United States is illuminated through its conflicts in this valuable resource for students, librarians, teachers, and all who are interested in American history and military history.